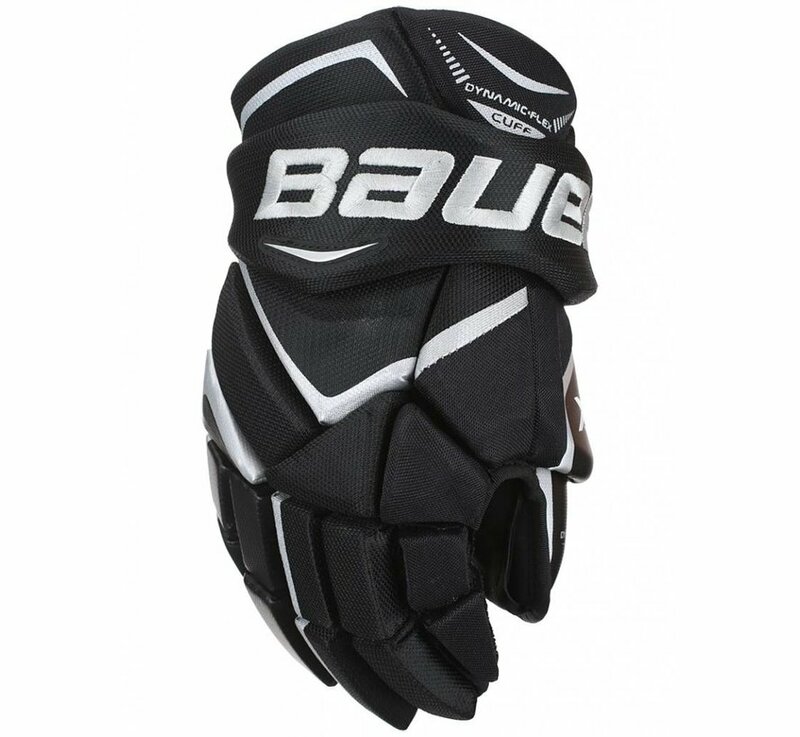 The Bauer Vapor X800 gloves are a set of gloves made for the competitive players found in the latest Vapor series. The vastly popular vapor line will offer a tapered fit which is wider in the cuff with a more standard fit through the fingers. The dynamic flex cuff provides excellent wrist mobility while the standard fit through the fingers helps improve overall control. As far as protective properties, the X800 uses dual density foam throughout the entire glove to provide protection in the cuff, backhand and fingers. To really ensure full protection the X800 is also outfitted with light-weight PE inserts on top of the foam. 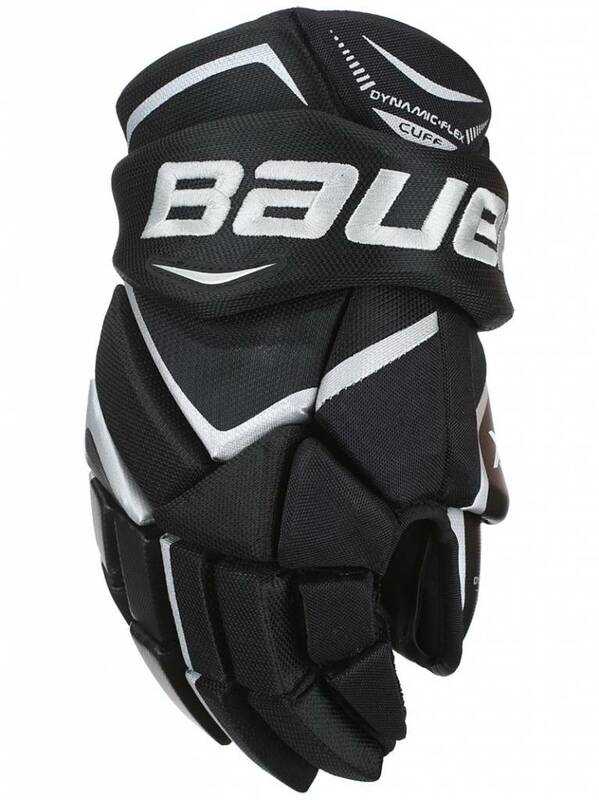 These gloves will come in a Black Nash palm with a digital Nash overlay. This is a very soft material that gives a great feel for the shaft of the stick. The additional digital overlay is added to make the X800 more durable in the high wear area of the palm. For the lining material, Bauer used their ThermoMax lining which is moisture wicking and provides a soft feel for added comfort. Because this glove is about mobility, a patented 2-piece flex lock thumb was used to give you the ability to maneuver and grip the stick without limitations. Even at a lower price-point Bauer keeps the aesthetics on point with an embroidered Bauer logo giving the X800 a very clean look.